RUSH: So let me see if I understand this — and you may not have heard this. There was news out today that General Michael Flynn, a dedicated military veteran, former director of the Defense Intelligence Agency (that’s the defense department’s version of the CIA), back during the Obama administration, by the way — and Obama hated this guy. He didn’t like Flynn at all. Michael Flynn was one of the first endorsers of Donald Trump’s presidential campaign, and he was named during the transition to head up the national security apparatus in the White House. And Director of National Intelligence. And of course, he was then railroaded by the media and the FBI, claiming to have had a conversation with the Russian ambassador about sanctions that was not legal at the time. He was interviewed, and it was decided by the FBI interviewers that he had not lied, and yet he was still charged by Robert Mueller with lying to investigators! The upshot of this is that Michael Flynn took a plea because he is $5 million in debt to his lawyers, out $5 million in legal fees. Michael Flynn never earned the kind of money that would allow him to pay that debt, and he would have never had to pay that debt because he would have never had to hire those lawyers if it had not been for this entirely bogus investigation, which needed guilty pleas. I am convinced that they really looked as hard as they could for anything they could say was collusion. I am convinced that what Mueller wanted — and all of his pro-Hillary Clinton lawyers and investigators on his team wanted — was to be able to announce as many guilty pleas as possible, even though they had nothing to do with collusion and nothing to do with obstruction. He didn’t care. That’s why he wanted guilty pleas from Roger Stone and Jerome Corsi. It’s why he wanted guilty pleas from Manafort. It’s why he wanted a guilty plea from Rick Gates and as many people as he could get, because all he wanted to do was issue a report that alleged some collusion between Trump and Russia complete with nine or however many guilty pleas. And that would provide the media narrative — Trump colluded with Russia! Nine guilty pleas! Mueller report successful — and Flynn was one of those guilty pleas that he needed. There was no collusion. There never was any collusion. There never was any evidence of any collusion. Yet Michael Flynn owes lawyers $5 million for keeping him out of jail via a guilty plea. Meanwhile, Jussie Smollett got all of his charges dropped after committing a provable hoax. 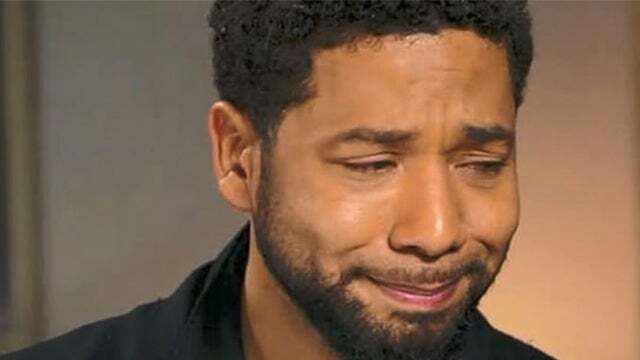 Jussie Smollett engaged in a hoax to make it appear that deranged supporters of Donald Trump beat him up at 2 to 3 a.m. on a very cold Chicago morning simply because he was Jussie Smollett. He was African-American, and he didn’t like Trump. And so there’s all kinds of Trump supporters prowling around Chicago at 2:30 in the morning looking for African-Americans to beat up. The two kids, the two guys from Nigeria that Jussie Smollett hired and paid to be these two Trump supporters — friends of his, colleagues on the TV show Empire — admitted to the whole thing. They even showed the canceled check that Jussie Smollett wrote for mugging supplies at the hardware store. All of that, a provable hoax that the superintendent of police in Chicago detailed on national television, and his charges are dropped. He’s out 10 grand, whatever it was, the bail that he had to pay. The city of Chicago’s gonna keep that. They say he’s already done so much community service work for the city of Chicago that he’s not even going to have to do any more. His record will be expunged. This all never happened as far as his legal record is concerned. But over here is Michael Flynn, and there are others. Michael Caputo. I don’t know how many people have been literally financially broken by Robert Mueller and that band of fraudsters acting as investigators perpetuating a real hoax.